In a phone interview, Maffei talked about whether Netflix can survive the onslaught from tech platforms and how a new tech platform window might evolve in sports. Greg Maffei has a view of the changing media industry that is broader than most. 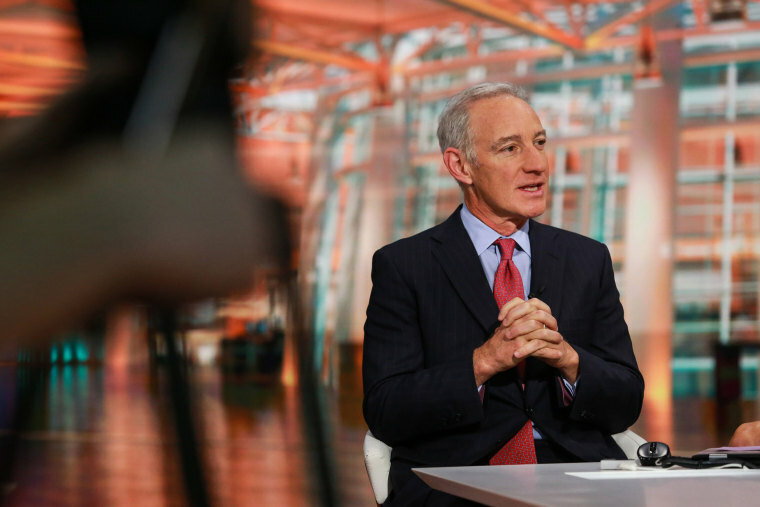 As CEO of Liberty Media, his company owns stakes in the music industry (through internet radio company Pandora, satellite radio company SiriusXM, and ticketing company Live Nation), the sports industry (Formula One and the Atlanta Braves), cable systems operators (Charter Communications), TV production (Viacom) and digital media (food-focused Tastemade). In a phone interview, Maffei talked about whether Netflix can survive the onslaught from tech platforms, Liberty’s interest in Universal Music, and how a new tech platform window might evolve in sports. Question: Last week at your investor day, you talked about how content is a bad place to be and that’s a scary time for media. Answer: There’s a massive amount of capital invested. Traditional players have a set way of monetizing across a platform, but they make the vast majority of their money off affiliate fees and advertising on cable — and that world is being challenged. Traditional viewing has declined because of over-the-top players. Netflix is the king of those and deserves massive credit, but they’re going to lose $3 billion of free cash flow this year. It’s not to say they won’t ultimately win here. Q: Do you think they will? A: I suspect they will. They’ve got to worry about an aggressive set of players who are even bigger and have even deeper pockets and other monetization means. Netflix has a monetization scheme that is more efficient and better than the cable guys. The question is, do the tech guys, who have potentially bigger revenue streams, use content in such a way to subsidize that they threaten the Netflix model? Q: John Malone, chairman of Liberty Media, has a lot of assets in content. Should he be selling? A: I’m going to stay away from that one. You have to ask John what he thinks about his assets. Q: You mentioned that some video platforms would be RIP. Who are we talking about? A: We have to wait three years and print all those. I think cable has a much better future because the value of that pipe, that cable is still quite valuable. There are potentially more things around high speed data and mobile that can still make it quite an interesting business. Q: What happens to DirecTV and Dish? A: The traditional video players are challenged. You can see what’s happening in the subscriptions of traditional players and the rise of virtual MVPDs [multi-video program distributor such as SlingTV]. Q: You talked about Formula One and the possibility of selling over-the-top rights and your relationship with Amazon? A: I think there’s a good chance that big digital platforms like Amazon will be bidders for content, bidders for sports rights. They increasingly already are. I think it’s quite likely that Amazon will be bidders for us for our content, Formula One. I suspect they will be bidders on other forms of sport content too. Particularly global makes a ton of sense. They’re global players. Q: Let’s talk about music. You made a very interesting comment about the fact you would be interested in Universal Music and you have a long relationship with its owner, Vivendi. And they have said they want a strategic relationship. Do you see that coming together? A: A couple of points. There is some benefit if you are a distributor of music content there is benefit potentially to owning some of the underlying content. Secondly, they’re obviously the leading player in music content and they have expressed an interest in finding a strategic partner. Would we look at that: Absolutely. That’s the sum total. We’d be silly not to. Q: You own a piece of iHeartRadio’s debt. Can you talk about your interest in the company? A: No. We own a piece of the debt. They have a plan to exit bankruptcy. If the plan goes forward the way it is, we’ll be a small investor in the equity of the iHeartRadio Company, less than 5 percent, and we’ll see where it goes from there. Q: Let’s talk about sports. What is your interest in the regional sports networks being sold by Disney and Fox, and there are reports that Nascar could be on the market? A: The logical owners of the RSNs are either a big distributor or a big content owner. We would take a look because of the Atlanta Braves alone, we are big content supplier to them. We’d be interested in taking a look. We like motor sports. If Nascar were available, we’d certainly take a look. Q: Do you see big tech platforms buying exclusive rights to big sporting events or will a new platform window evolve where sports are offered on a tech platform first, and then move to broadcast TV and who comes first? A: There is going to be a big fight. These tech platforms all want to have a stronger position. The war is going to be in the home. One of the questions will be do they do things like buy content, maybe not exclusively for ever, but exclusively for some window? Because most content owners don’t want to see their content be exclusively on any one platform because it limits exposure. They might window it to get an edge. Q: And who gets the first window? A: It’s all about money, and it’s all about who’s got the pocket.